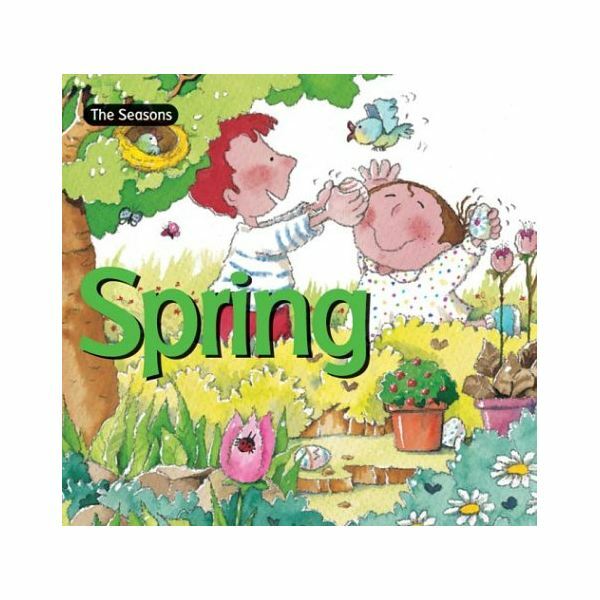 As an introduction to your preschool spring unit, read a book about spring to students, such as “Spring" by Nuria Roca. Discuss all of the different things that they see in spring, and encourage them to cite examples from the book. Then have each student draw a picture of their favorite part of spring (e.g., birds making a nest, flowers growing, rain and rainbows), and hang them up on a spring bulletin board. When we think of spring, we often picture plants and flowers beginning to bloom after the long winter. Talk to children about how a seed grows. Make sure they understand that first you plant it underground, then you water it, and then it turns into a plant or a tree. Discuss the different things that a seed might turn into, from an apple tree to a rose. Encourage children to think of the type of plant that they would like to become if they were a seed. Then tell the children that they will all be seeds planted underground. Have them all crouch down pretending to be tiny seeds. Then walk around the circle with a watering can to sprinkle them with water, and pretend to be the sun shining on them so that they can grow. 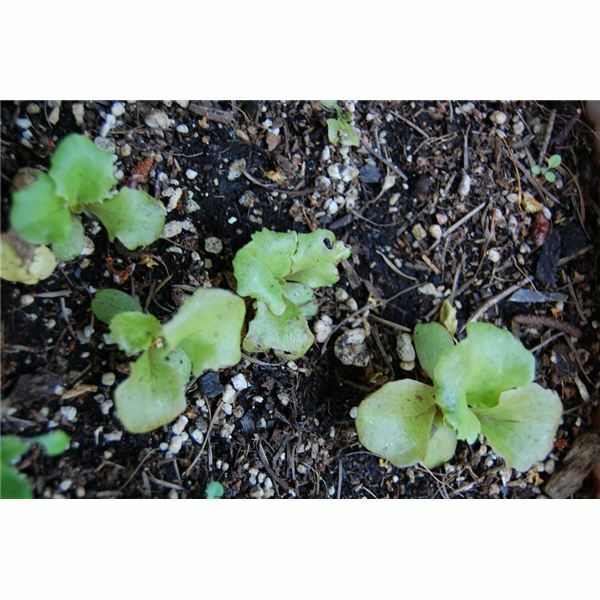 Then tap each one of them, in a random order, and have them slowly grow up out of the ground and announce to the rest of the class which plant they are. You can build on the circle time activity to help children practice putting various events in order. Divide a paper into six square sections and photocopy enough for the class. In each box, have children draw a different stage of a seed’s life. In the first box, they might draw seeds; in the second one, a seed planted underground; in the third one, a seed growing roots; in the fourth one, a seed beginning to sprout; in the fifth one, a small tree; and in the sixth one, a full-grown tree. You can model this process for them on the board. Then help them cut the squares apart and let them practice putting the squares into the correct order. If you have a sensory table in the classroom, science instruction for this preschool spring unit should center around it. Fill it with potting soil and plastic shovels. (You may wish to include other gardening tools as well.) Let students play with the dirt for a little while, and then give them each a few beans to “plant" in the dirt. Do this activity right before a weekend, and encourage students to water their beans before they leave the classroom. Leave the cover off of the sensory table for the weekend, and when you come back, the students will be surprised to find that their beans have sprouted! If you don’t have a sensory table, you can help students make their own hairy-head plants instead. Just fill stockings with potting soil and tie their bottoms shut. Place each stocking in a plastic bowl and wet the soil. Then give each child a handful of grass seeds to sprinkle on top of the stockings. Within a few days, grass will start growing out of the stocking heads. Spend some time revisiting the conversation you had about growing seeds during circle time, to connect the learning. Ground Hog's Day is a holiday that seems to hail the coming of spring. Ask children to share what they know about Groundhog Day. Discuss the fact that although Groundhog day is in February, some people believe that it can help predict when spring is coming. If you taught about Groundhog Day earlier, students will enjoy this review. You can help them pretend to be Punxsautawney Phil by hiding under a large blanket and then peaking out. If weather in your area does not permit a nature walk, consider sorting and counting different types of seeds, photos of different kinds of birds or even the heads of silk spring flowers. After you go on a nature walk, you can encourage the children to make their own bird’s nests. Give each child a coffee filter and show them how to glue sticks, leaves, and other natural objects to it. Explain that this is how birds make their nests. If you’d like, you can help them make eggs out of play dough or other materials and put them in the nests for a fun end to this preschool spring unit. You can also try the spring craft for preschoolers in this article. Try sprinkling in some fun spring activities, such as the ones included in this spring lesson plan. Let your preschool spring unit act as a springboard for other classroom themes – like baby animals, the seasons, or even the letter S.